Draußen sitzt man offenbar gerne mal klassisch in einer schützenden Nische. 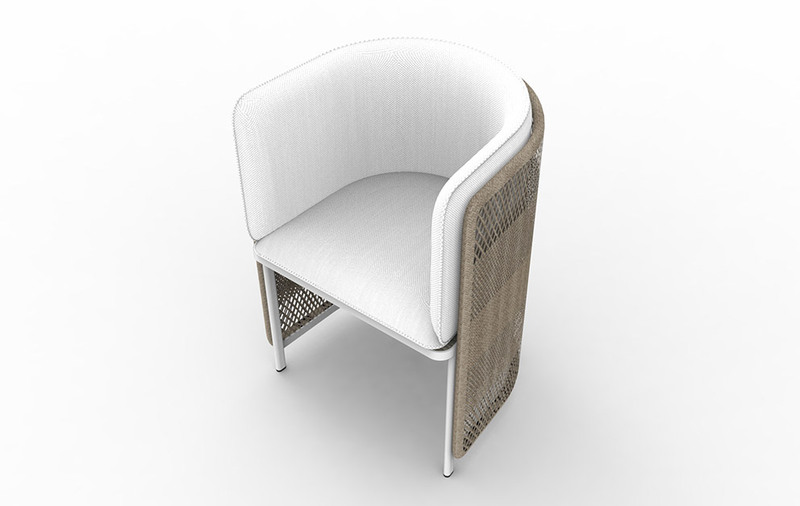 “Esedra” is a range of outdoor furniture Luca Nichetto has designed for Ethimo. 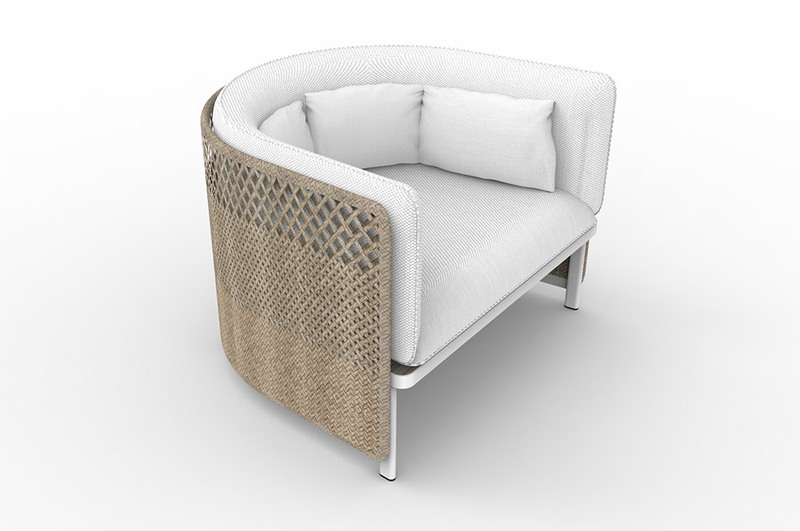 There is a balanced look to the set, which Nichetto achieves by featuring the classic “C” shape and combining aluminum with woven synthetic fiber of different densities and teak.